Dublin is a great city to wonder away hours walking among the cobbled streets, exploring the Georgian architecture, historic buildings and taking in all the culture and lifestyle of the Irish capital. 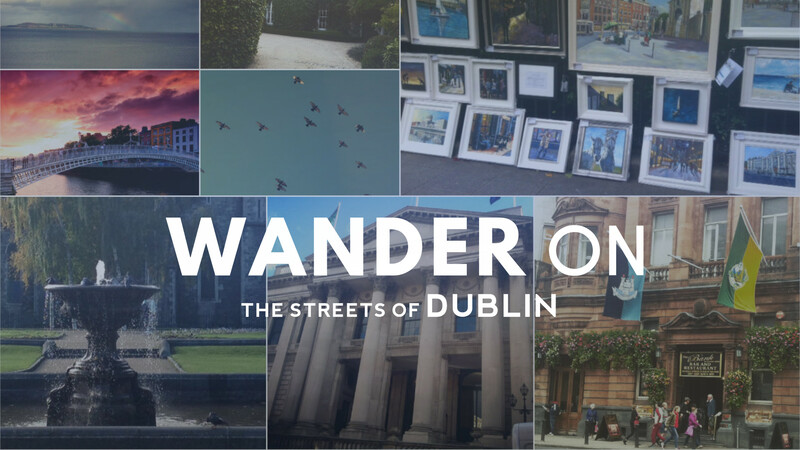 Sometimes it’s easy to get caught up in the tourist traps and miss out some of the quirky nuances of the city, so we went around and asked some local Dubliners for their recommendations of things to do in the city to make the most out of Dublin and get a true sense of the city. From vintage shopping to bars and restaurants, read on to make the most of your trip to Dublin. When the weather’s nice take a picnic in St Stephen’s Green, Dublin’s most popular square and public park. Since 1880 it’s been the city’s place to rendezvous and you’ll see old couples walking hand in hand and children playing. The best thing to do is bring some food and drinks and sit out on the grass and enjoy this beautiful city. Complete with lakes and ducks, so you can even feed them your leftover sandwiches too! Undeniably one of the best burger joints in Dublin, Bobo’s is known for its unbeatably tasty beef patties. All ingredients are locally sourced and the portions aren’t small, so it’s a great combo if you’re looking for filling Irish food. Bobo’s is a modest looking restaurant, with heaps of nostalgia, so you’ll feel right at home. We recommend their Dubliner burger – delicious! See some of the best artists, actors and musicians at the Dublin Fringe Festival. Sister festival of Edinburgh Fringe Festival, Dublin’s is just as good with some stand-out acts and undiscovered talents. This year it’s better than ever, with Circus acts, dance, comedy and the very popular Spiegeltent which is a great place to mingle with the locals over a pint. If you like your fashion and experimenting with clothes from every era, then visit Loft Market, a great New York-style indoor fashion market brimming with stands and stalls from local fashion designers and hipsters, selling and buying unique vintage items and hand crafted clothes and accessories. From sunglasses, jewellery, shoes and both men’s and women’s clothes, you can find it all. Don’t be afraid of bargaining either! Hosting Ireland’s home games, Croke Park is one of two of Dublin’s sporting arenas, but whose focus is purely rugby, welcoming the best players from around the world to its hallowed grounds. The Six Nations Rugby Tournament is one to get tickets for the next time it comes around and the Irish get fiercely competitive, so it’s always a fantastic atmosphere. Just be careful who you cheer for! Just behind Dublin Castle – one of the main attractions in Dublin – are the Dubh Linn Gardens, tucked behind this historic building. It’s where the city drew its name, meaning ‘dark pool’, and it was recently landscaped into a stunning garden. It’s one of the lesser appreciated places in Dublin, and most tourists haven’t caught on yet, so you’ll be one of the few in the know! One of the best local haunts for a big slice of cake is the Cake Café, a must for those with a sweet tooth. It’s the perfect place for a mid-afternoon sugar hit and a great excuse to put your feet up after a day of sightseeing. All lovingly home-made, there’s all manner of home baking from cupcakes, to classic cakes and biscuits, even savoury pies, sandwiches and salads if you’re stopping off for lunch. Its vibrant table clothes and mismatched crockery give it an extra quirkiness, so alongside the food, it’s the perfect place if you like food blogging! The Cobblestone is one of the best places in Dublin to catch some traditional Irish folk music. Downstairs in the pub you’ll find the musician’s corner, welcoming local performers specialising in traditional Irish music. So if you want a real Irish experience, this is the place to go. Settle in with a pint of Guinness and make yourself at home in this proper Irish pub, serenaded with true Irish music. Dublin is blessed with being near enough to the coast, so one of the best things to do is plan a day trip out to one of the many towns. One of our favourite places is Dalkey, a picturesque seaside coastal village complete with a historic castle. After you’ve visited the Castle and Heritage centre, stroll down to the beach for a brisk and blustery walk and take in the stunning scenery and jagged landscape of the natural cliffs and bright blue sea. One of the best things to do in Dublin is drink, according to the locals, however you can add a bit of culture into it on a Dublin Literary Pub Crawl which makes it slightly easier to recommend. This involves a tour of some of the best watering holes in the city, led by expert tour guides who will thrill you with fun facts and interesting stories of Dublin’s literary greats, from Joyce to Wilde. You’ll even get involved in pub quizzes along the way to make the most of your new found knowledge!